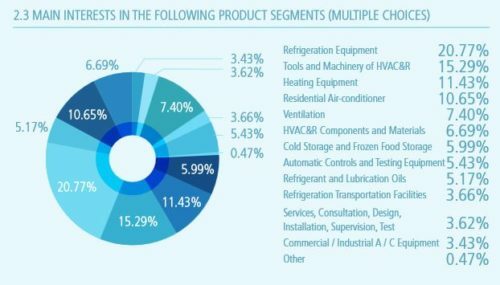 China Refrigeration 2019 (中国制冷展, CRH 2019) is the International Exhibition for Refrigeration, Air-conditioning, Heating and Ventilation, Frozen Food Processing, Packaging and Storage. 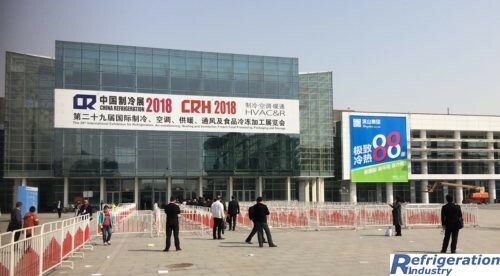 As the well-established exhibition in the industry, CR Expo makes every effort to expand the group of trade buyers, end-users and the influence worldwide. CR Expo has established strategic partnership relation with most of the important organizations and key players of the industry all over the world. Taking part in CR Expo means to be a part of international cooperative network, and will be benefited with more competitive advantage and cooperation opportunities. Each year, CR Expo welcomes more than 40,000 professional visitors and trade buyers from over 100 countries. CR Expo promises to provide an ideal platform of launching latest technology and products, interpreting industry trends and policy, as well as the marketplace of international trade. The Twenty-eighth China Refrigeration Expo exhibition with an area of 103,500 square meters attracts industry-related companies and organizations from 33 countries and regions, a total of 1200 exhibitors, all brought together well-known brands in the world HVAC refrigeration industry, which including the United States, South Korea, India and European countries pavilions pavilions, it is expected to have nearly 60,000 professional visitors and users from more than 100 countries and regions came to visit us.